Money is the main focus of the story in Red Dead Redemption 2, and this guide will show you how to get lots of it, very quickly. Money makes the world go round in Red Dead Redemption 2, and it's arguably the main focus of the entire game. In this Red Dead Redemption 2 money making guide, we'll be walking you through how to earn money in Red Dead Redemption 2 as quickly as possible. If you instead need help with any other areas of Rockstar’s big new game, you’ll want to head over to our Red Dead Redemption 2 guides hub. It’s on this main page that you can find all the introductory tips and tricks you need to get going with the opening hours of Arthur Morgan’s grand adventure, as well as a full index of our in depth guides on additional areas of the game. As you’d probably expect from a game set in the wild west, money plays a big role in Red Dead Redemption 2. Dutch Van der Linde and the rest of the main gang are always looking to score a huge payday through nefarious means, and at the beginning of the game you start out with barely a dollar to your name. 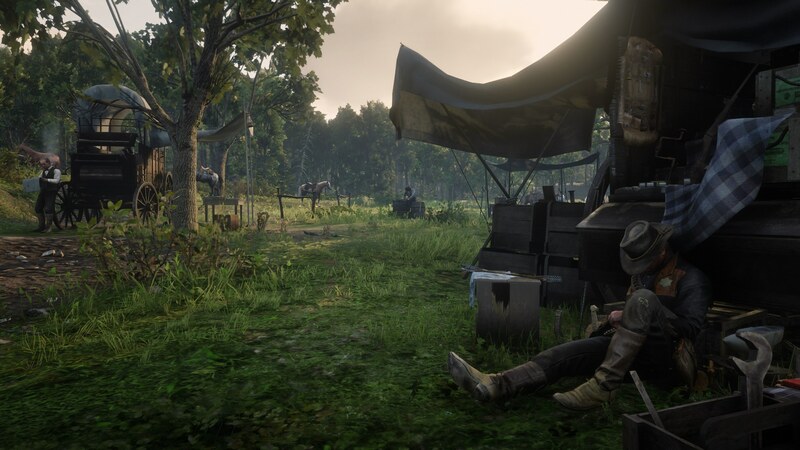 In this guide we'll give you some ways to make good money in Red Dead Redemption 2 so you can afford to buy plenty of supplies for your camp. If you want to earn some money quickly, remember to always loot the bodies of your enemies after a shootout. Yes, there’s a chance someone could spot you and report you to the authorities, but it’s worth the risk. You’ll nearly always get a few dollars from a corpse, but sometimes you’ll obtain a valuable item like a pocket watch or belt buckle, which you can take to a Fence and sell on for a chunk of cash. You should also be on the lookout for Stranger missions whenever they appear on the map. If you spot a white dot on your mini map in the bottom left corner of the screen, make sure to investigate it, as these side missions can sometimes lead to some quick cash coming your way. Progressing through main story missions that aren’t linked directly to Dutch can also be rewarding. 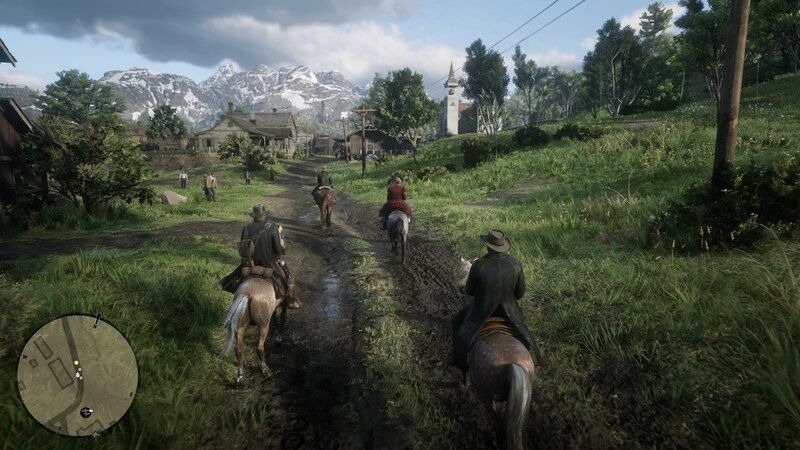 Some Micah Bell and Hosea Matthews missions in particular can grant you a fair amount of cash in one fell swoop, especially Micah’s second mission, where you join up with him to rob a coach. While this naughty way to make loads of money in Red Dead Redemption 2 probably won't be around for long once Rockstar gets to work on a bug fixing patch, you still have time to make the most of it for the time being. Follow our instructions just below and you'll be able to become richer than you could possibly imagine, unless your imagination for richness is rather extravagant. Head to Limpany, south of Caliban's Seat. This is easy to get to from your camp at Horseshoe Overlook. Locate the Sheriff's Office in Limpany. It doesn't look like much as it's all burnt out and generally rather decrepit. There is a loot box under the desk in the Sheriff's Office. Important: Do not loot the box until you've read all of the following instructions. Open the loot box to find a gold bar. Key Point: Use the command to take the gold bar, but pause the game just as Arthur reaches down for it (Do not pick up paper or horse stimulant). In the pause menu, manually save your game from the Story menu. From the same Story menu, load the game save you just made. On loading, return to the loot box under the desk in the Sheriff's Office. Pick up as many gold bars as Arthur can manage, then sell for $500 each! It's worth noting that this glitch can only be used if you are yet to loot this box. If you've already looted it and taken the gold bar, you're fresh out of luck. Sorry. If you're having trouble getting this gold bar glitch to work in Red Dead Redemption 2, try disabling auto-save. Just below, we'll round up some of the easier methods for earning cash quickly in Red Dead Redemption 2. Some of these might run you afoul of the law, so come prepared! Wagons nearly always carry some form of valuables in the back. Stop the wagon, then press Square/X at the back of the wagon to hop in, and reap the rewards. On a train, there'll always be a carriage which houses valuables. Come prepared with dynamite though, as the carriage might be armored and protected. Hunting can be a lucrative activity, especially if you obtain perfect quality pelts and sell them to a trader. And with that, you’re all up to date with all the best methods to earn money quickly in Red Dead Redemption 2. Now you can head over to our our page on how to shave in Red Dead Redemption 2, or our our guide on how to play in first person in Red Dead Redemption 2, in case you feel like switching things up a bit.